"I believe what Jesus taught. That's why I don't go to church." Seeing the obvious differences between what Jesus taught and what his followers do, many despair of finding a genuine Christian community. Under the radar of popular culture, however, lies another way to be Christian-a radical departure from as-seen-on-TV Christianity. Being Human offers a compelling vision of what it means to believe in Jesus in the modern world. Terry Kyllo invites readers to explore Jesus' profound revelation of the Serving God-that is, a God utterly committed to loving and healing everyone and everything. We are made in this God's image. With this God we serve the world. And through this God we find purpose, meaning, and joy. 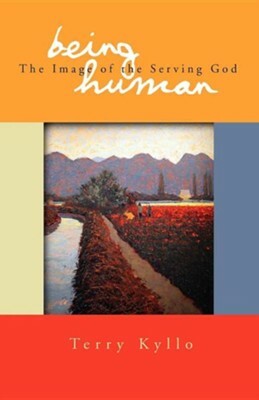 I'm the author/artist and I want to review Being Human: The Image of the Serving God.